The journey starts here: Alexander Bay, on the SA-Namibia border. 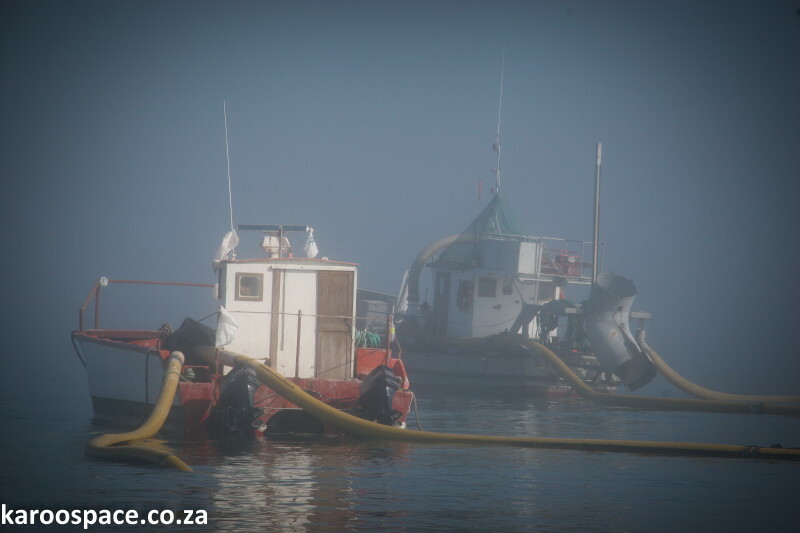 End of the trip: Diamond boats moored off Hondeklip Bay. The weird thing about travelling from Alexander Bay in the Richtersveld to Hondeklip Bay in Namaqualand is you constantly feel you’re in the presence of diamonds – even though there’s not a sparkler in sight. Welcome to the Diamond Coast Route, a few hundred kilometres of mystical shipwrecks, sand-bogged plant life, legends about shiny stones, ancient middens and hardy locals with a hard-bitten frontier sense of humour. 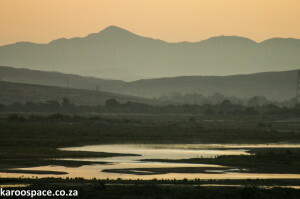 The Orange River, which flows out to the Atlantic near Alexander Bay. If you take your time and let the people of the Diamond Coast Route in, you will meet eccentric surfers, old-time diamond divers, rustic fishermen and others who would rather tell you a good joke than tell you about their past. Alexander Bay is where diamonds were found more than 80 years ago, in vast quantities. Hopeful men streamed into the area from all over the world and tried their luck, with varying degrees of success. Begin your trip in the north, at Alexander Bay. Take the mine tour, listen to the legends and be entranced by a life lived when meat was cheap, crayfish were abundant and the brandy was plentiful. 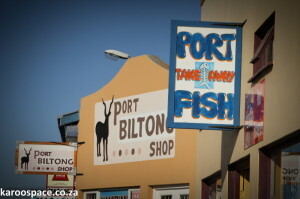 It all happens at ‘Port’ – the local name for Port Nolloth. 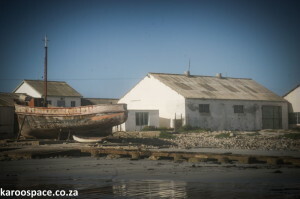 Then drive down to Port Nolloth, visit old George Moyses in the local museum and let him tell you the inside story of this amazing little seaport with more character than seven cities. 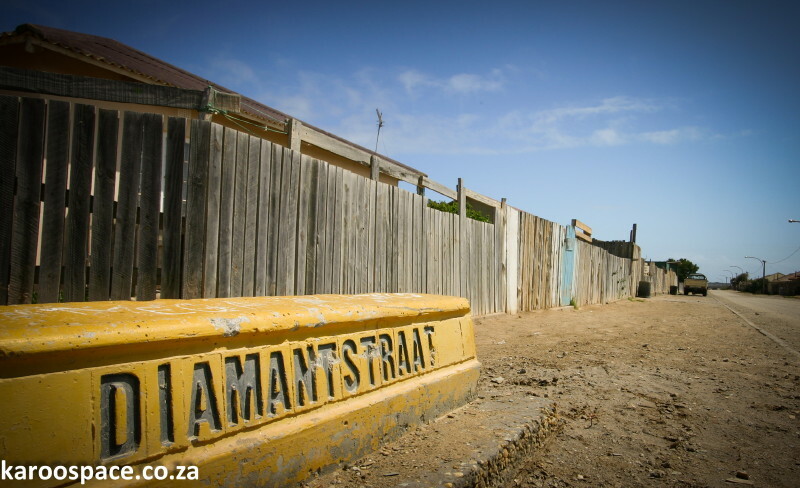 Be prepared for the Port Nolloth Charm, that slightly vagabond nature of an ‘out-there’ settlement that sometimes resembles an off-planet mining camp. And be warned: don’t make friends with people from Port Nolloth, because you’ll get hooked on the place. 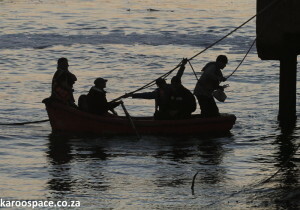 Diamond divers coming in to Port Nolloth after a day at sea. You will want to return to this far-off village as often as you can, even with the crippling fuel prices being what they are. Port Nolloth will grab your soul. 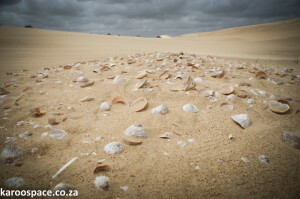 Ancient middens on the Shipwreck Trail near Kleinzee. Put aside the carousing with new friends and head south to Kleinzee. Make sure you get an overnight permit at the local tourism offices and do the Shipwreck Trail. Hear the story of the Piratiny, a 5 000 tonne Brazilian steamer that floundered off these shores in June 1943 – possibly sunk by a German torpedo. The old canning factory at Hondeklip Bay. They say that weeks after the shipwreck, a heavy storm blew up and left the beaches covered with luggage from (and pieces of) the Piratiny, which included a lot of dress materials and bolts of silk. Several months later at the Nagmaal (church communion), all the local children came uniformly dressed in clothes made from the Piratiny flotsam. Now we drive down to Hondeklip Bay (Dog Stone Bay), where there was once a boulder shaped like a dog. Legend has it that a bored traveller painted the stone red. Time passed, foul weather removed most of the paint but for small traces in the crevices of the stone. A prospector came by, looking for copper. He saw those remaining red paint spots and knocked off what was the ‘dog’s ear’ and sent it back to his employers for analysis. Like this story? 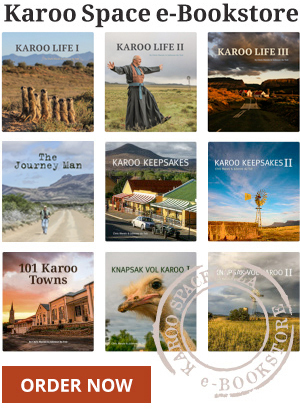 Read more on the fascinating Karoo – choose an e-book from the Karoo Space e-Bookstore. 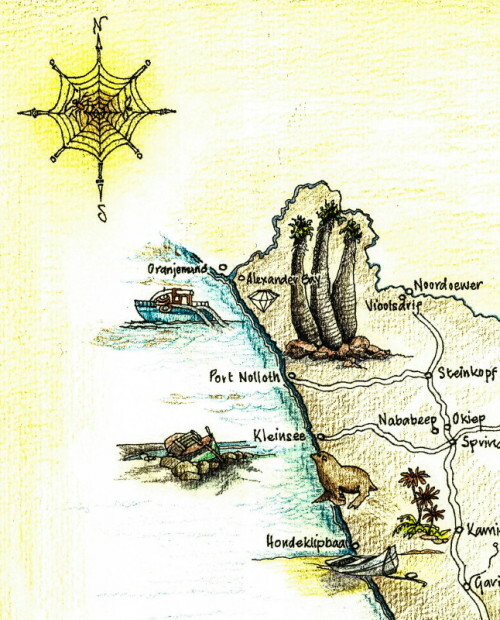 The Diamond Coast Route: map hand-drawn by Gil Vermaak. planning to drive during the April 2015 school holiday from Port Nolloth to Alexander bay. Do i require a permit for this route? Hi – You would not need a permit for the road between Port Nolloth and Alexander Bay. However, the actual mining area at Alex Bay is restricted – you have to sign in for the regular tour of the area. Hi what is the road condition like from kleinsee to port Nolloth? Are there sites to see? We are coming up next week.